The team at CFE work with a number of industry partners to offer the latest products and services supported with innovative new technologies. CPM Europe is a leading supplier of process equipment and technology for the animal feed, biomass, oilseed and a lot of other industries. They have a worldwide reputation as pelleting, grinding, conditioning and flaking solutions specialists. CPM are dedicated specialists with over a century experience supplying machines that ensures continuous operation, high performance and the lowest operating costs. 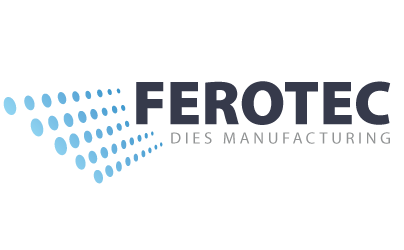 FEROTEC is the French specialist in the manufacture and supply of dies and spare parts for the animal feed industry, wood pellets and other sectors. Established in 1992 the company is focused on the manufacture of dies for the pelleting of all sorts of products which are various, the main one being the animal feed (chicken, pig, cattle, and other products such as alfalfa, minerals, fertilizers, etc. New industries have appeared such as the timber industry (used for heating) and recycling (tyres, etc). Smepro is a family business founded in 1980 with many years of experience in the production of metal parts. The business produces forgings and castings according to clients specifications; either treated or untreated. Their expertise and worldwide network of suppliers of wrought ironwork and cast ironwork offer endless solutions in providing that best fits for the needs of compound feed manufacturers. Petro-Canada Lubricants for over 30 years has researched, developed and produced more than 350 world-class advanced lubricants, specialty fluids and greases. The business provides innovative solutions that deliver value and keep businesses moving around the world. Products continue to perform beyond expectations in virtually every industry around the globe supporting equipment performance through operational efficiencies that reward businesses bottom line. Geelen Counterflow invented the first counterflow cooler in 1980 for the cooling of feed pellets. Since then the business has built up decades of experience drying and/or cooling animal feed pellets, extrudate, expandate, crumbles, meal, mash, flakes etc. The range of dryers and coolers are based on the counterflow heat-exchange principle for superior energy-efficiency and better food safety standards. Timken engineers and manufactures bearings and mechanical power transmission components including gear drives, couplings, belts and chain. As the leading authority on tapered roller bearings, they apply a deep knowledge of metallurgy, tribology and mechanical systems to improve the reliability and efficiency of equipment, machinery and vehicles worldwide. SKF has been a leading global technology provider since 1907. The fundamental strength of the business is the ability to continuously develop new technologies – then use them to create products that offer competitive advantages to clients. They achieve this by combining hands-on experience in over 40 industries supported with knowledge across the SKF technology platforms: bearings and units, seals, mechatronics, services and lubrication systems.